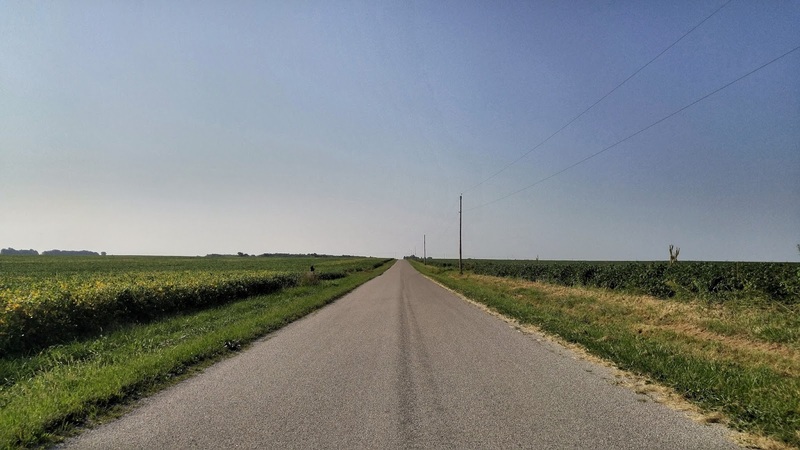 Moving to Illinois has been an interesting transition as my new town of Decatur reminds me a lot of Lawrence, Kansas but the cornfields around the town remind me of home in rural Wisconsin. Here's a view from the road leading to the kennel where we board our dog from time to time. Driving around these roads reminds me of one of my all-time favorite songs "Green Aisles" by Real Estate. If you aren't familiar with the band, they make a type of music described as "dream pop" with a real calm and mellow sound. I typically listen to music or a podcast while going to sleep and the album that "Green Aisles" is on, Days, is an album that has helped me reach dreamland many times. That is the chorus that the "green aisles" lyrics can be found and it speaks to me as our non-traditional lifestyle these past few years has led us to Ukraine and back and across the United States has proven to be a wonderful and life-changing experience. I wouldn't go so far as to say our lifestyle was "careless" as the lyric goes but it has been unconventional and full of unexpected twists. I will admit though that a return to "green aisles" is a nice change of pace.